We encourage you to use the menu above to explore our site. There is quite a bit of information about our organization and it's divisions, and different topics that might interest you located in the different areas of our site. We just can fit it all on our opening page. The concept of the San Antonio Railroad Heritage Museum (SARHM) was laid out in 2001, and we have been meticulously refining and working on it ever since. Even though our concept is not new and has been done before, preserving our railroad heritage for future generations is very important to us and our community. We are recognized by the Internal Revenue Service as a 501©(3) Non-profit educational organization. Photo by A.E. Brown May 8,1953Used by Permission. The purpose of the SARHM, is to promote interest in various railroad related activities including, but not limited to, railroad operations, railroad history, railroad restoration, and preservation (to include railroad equipment and structures), and to display local railroad history (heritage) for the local populous, San Antonio tourists, and SARHM's membership. 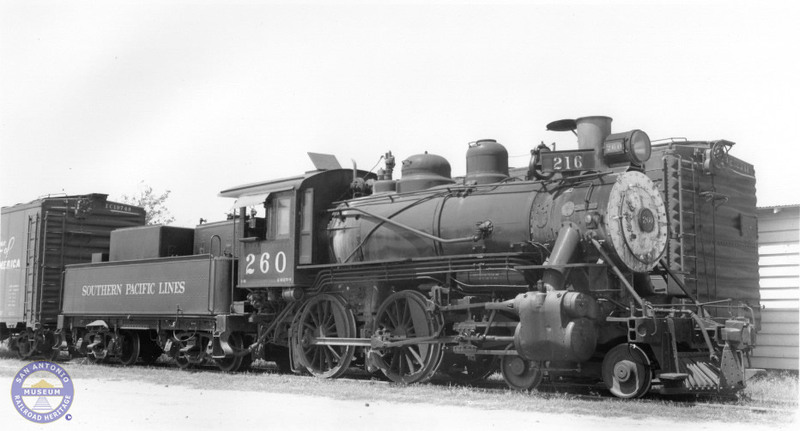 The mission of SARHM is to inform and educate the public about the rich railroad history of San Antonio and the South Texas region, by offering a historical look at the economic and cultural impact that the operations of the railroads had on the past. Further, SARHM will look at how the railroad affects the region today and will continually look forward toward how the railroad will affect the future of our region. Fill out our Membership Application and be a part of us!